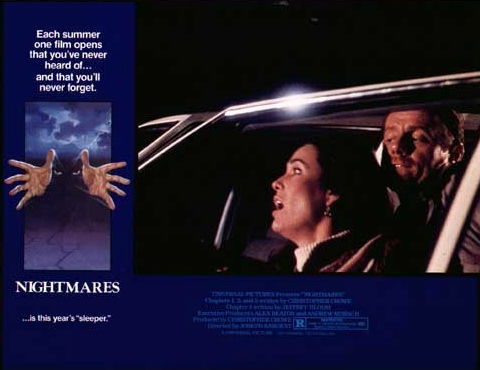 In 1983, Cristina Raines made a very memorable appearance in the first segment of a four story horror anthology film called Nightmares. The project was originally a TV movie which subsequently had some scenes added and was turned into a feature film. Cristina Raines stars in the first part of the movie, in a story called 'Terror in Topanga' in which she plays a smoker who needs a cigarette so badly that she is willing to go out and buy a pack even though there is an escaped killer on the loose in her area. 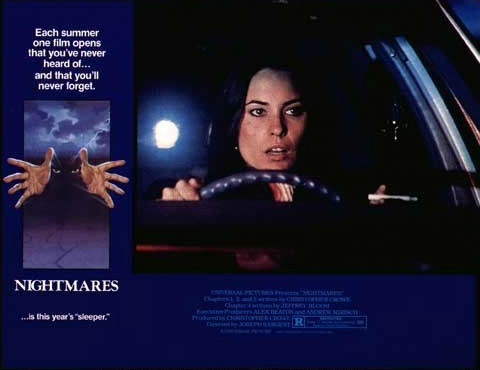 More information on Cristina Raines in Nightmares.